"Sigmund Freud said, ‘Sometimes a cigar is just a cigar.’ I think that’s true of many things - what you see is simply what you get. One notable exception to this rule is our Firm’s values. There is a whole lot more to all of us at Freeborn because of the way our values shape us as a Firm, as a family and in the way they help us deliver value to our clients." Michael Kelly is a Partner in the Litigation Practice Group, and is a member of the Firm's Fraud and Internal Investigations Team. Michael previously served as the Firm's Co-Managing Partner. For more than 25 years, Michael has worked with clients on complex litigation cases involving antitrust, contract, insurance, intellectual property and trade secrets, often involving novel issues. Michael is also an experienced counselor, litigating and providing in-depth strategic advice on class action litigation. 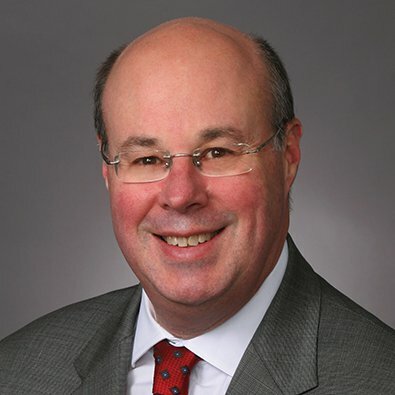 He joined the Firm in 1990 after almost 10 years at the Cook County State's Attorney's Office where he conducted numerous grand jury investigations, tried hundreds of cases including countless gang murder cases, and wrote and argued tens of appeals in the Appellate Courts, including the U.S. Supreme Court and the Illinois Supreme Court. Serving by appointment as a Special Assistant Illinois Attorney General to prosecute the State of Illinois suit against the tobacco industry. That suit resulted in the largest settlement in Illinois history, at more than $9 billion, recovered for the State of Illinois. Counsel for a large Canadian company in In re Potash Antitrust Litigation which was successfully resolved by summary judgment and affirmed on appeal (1993-1999). Successfully prosecuted non-competition and trade secret claims against the former executive of a leading publicly traded insurance brokerage firm for wrongfully soliciting the firm's customers and misusing confidential information. After a full trial, winning a multi-million judgment in damages, attorneys' fees and costs, multiple findings of contempt against the former executive and a referral to the U.S. Attorney's Office for investigation of perjury. Obtained a seven-figure jury verdict, including punitive damages, in a Florida state court, in a high-profile trade secret and restrictive covenant case. On behalf of food companies Michael handles complex business litigation cases often involving novel issues. His career at the Firm followed almost ten years at the Cook County State's Attorney's Office where he conducted numerous Grand Jury investigations, tried countless gang murder cases to juries, and wrote and argued tens of appeals in the Appellate Courts, including the United States Supreme Court and the Illinois Supreme Court. Michael J. Kelly and Katheleen A. Ehrhart represented Brown & Brown, Inc. against AssuredPartners Inc. (AP) in a court victory over violations of the restrictive covenants of former Brown & Brown employees hired by AP.